I have seen a lot of cool things in New York in my day, but this has to take the cake. 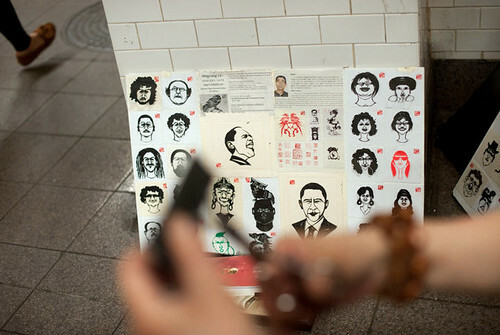 Ming Liang Lu is a self-described "master paper portrait cutter"—he makes tiny silhouette portraits of people passing him at the Union Square subway stop. 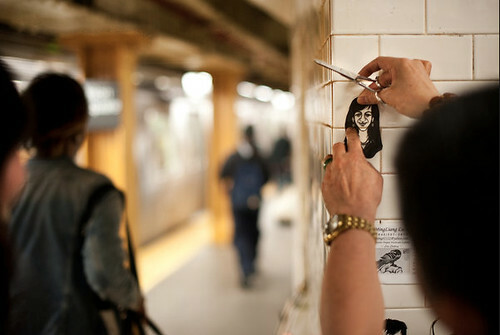 They are intricate and instantaneous encapsulations of the people he sees and, taped to the white tile walls, they are beautiful. 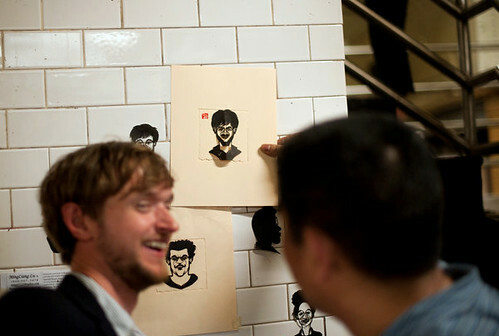 Learn more about the adorable and talented Lu here.